Capital has once again achieved the highest radio audience figures in London, growing its audience by 3% year on year. The latest radio listening figures from Rajar for the second quarter for 2016 show that Capital London had a average weekly audience of 2.27m for the three months to 3 April 2016. While the Global-owned station’s average audience is up on the same period last year, it is 0.9% down on the previous quarter. Capital London also widened its audience lead during the coveted breakfast slot, despite the figures slightly falling year on year. 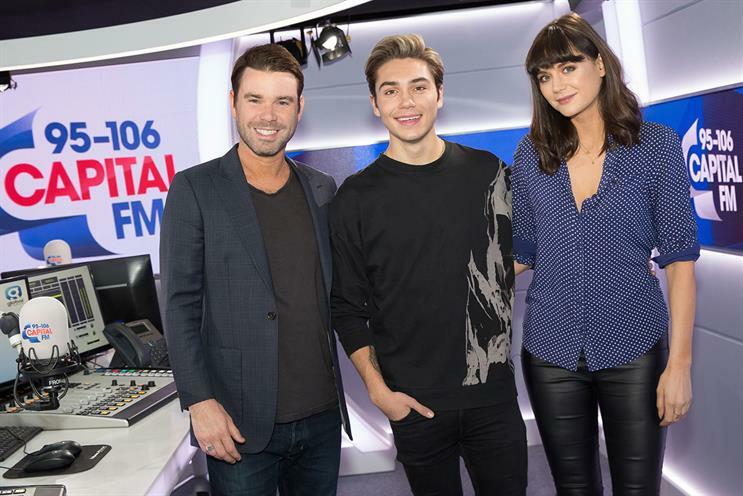 The Capital Breakfast Show, hosted by Dave Berry, George Shelley and Lilah Parsons, drew an average weekly audience of 1.13m, down 0.1% year on year and down 2.7% on the first quarter. But Capital increased its breakfast-time lead over Bauer’s Kiss, which saw its average slide for the second quarter in a row. Kiss London recorded 921,000 viewers on average in Q2, down 1.5% year on year and down 11.7% on Q1 2015. Global’s Heart is now London’s third most popular radio station despite recording a 13.1% year-on-year fall in average audience to 1.74 million. This was because Bauer-owned Magic’s audience fell even more dramatically: down 18.4% year on year to 1.63 million. Just as they did in Q1, both Heart and Magic experienced dramatic year-on-year falls for their breakfast show slots. Heart became the third most popular breakfast show, up from fourth this time last year, despite a 21.8% drop to 694,000. Meanwhile Magic fell by 25.1% year on year to 691,000.